If we take the jobs in healthcare sector, there are numerous options one can choose from. Here we can go in detail about the medical specialty i.e. gastroenterology. Gastroenterology is the branch of medicine that deals with the digestive system. Diseases that affect the gastrointestinal tract as well as the related organs are focused on, in this branch. A Gastroenterologist or GI doctors are specialists in digestive systems. 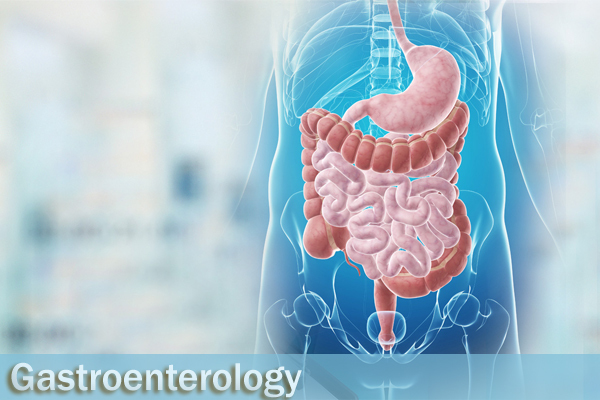 Gastroenterologist specializes in the diagnosis and treatment of patients affected by problems related to gastrointestinal organs (also known as digestive system) like small intestine, gallbladder, colon, Bile duct, pancreas, stomach and other related parts. So, if you have any problems of the digestive system, a gastroenterologist is the one you should consult. Gastroenterology is a specialty of internal medicine. The specialty involves the diagnosis and management of patients with diseases of the intestines, liver and biliary tree, and pancreas. Gastroenterologists often treat patients with abdominal pain, constipation, diarrhea, heartburn, unexplained weight loss, nausea, vomiting, and rectal bleeding. The job also involves treating severe digestive conditions such as colon polyps, colon cancer, colonitis, hepatitis, gallbladder disease, irritable bowel syndrome, pancreatitis, peptic ulcer disease. They specialize in treating and possibly curing all forms of digestive diseases. Most gastroenterologists also practice some hepatology, which is the treatment of liver disease and maladies. Two of the most common diseases which they need to treat are hepatitis, inflammation of the liver caused by viral infections or medication, and liver cirrhosis, which is usually related to alcoholism. One of the main aspects of gastroenterology is that there is no age limit for patients treated by Gastroenterologists. Gastroenterologists treat patients from children to the very elderly. Since this is a specialty within the medical field that requires an individual to be a subject matter expert in their area, advanced education and training is a must. Becoming a Gastroenterologist generally entails several years of training beyond an MBBS degree, as well as board certification. To become a Gastroenterologist after taking MD / MS / DNB, one has to go for a DM in Gastroenterology. One who wish to be a Gastroenterologist must have passed 10+2 exam with biology, chemistry and physics. On completion of Plus two students have to appear for the competitive entrance exam for MBBS (Bachelor of Medicine and Bachelor of Surgery). This is a 5½ years course which includes one-year internship period or house surgency as well. After that one has to go for MD / MS / DNB which is of 2 to 3years duration. Then go for specialisation in the field i.e DM in Gastroenterology. For surgical intervention one has to get a MCh in Gastroenterology. DM and MCh are of 3 years duration. Admission to this doctorate level course is provided both on the basis of performance in the qualifying exam (i.e MD) as well as on the basis of performance in the entrance test, varying from institution to institution. Gastroenterologists should be well qualified and have the knowledge of all the latest prevailing causes and treatment of diseases relating to gastrointestinal organs. Like any other physician, Gastroenterologists must have a desire to serve patients, have compassion towards others, be self-motivated, and be able to survive the pressures and long hours of medical education and practice. Besides one should have the discipline, patience, interpersonal skills, broad knowledge of the medical discipline, critical analytical skills, commitment to excel and self-confidence to become a gastroenterologist. They must have the ability to take timely decisions. Gastroenterology is considered as one of the top-paying careers in the medical field. As more patients are suffering with digestive and gastrointestinal issues, the need for this type of specialized doctor continues to arise. Gastroenterologists job include evaluation, diagnosis, management, and treatment of the diseases related to digestive system. They assess a patient’s symptoms and perform a variety of diagnostic tests such as colonoscopy and endoscopy. Gastroenterologists frequently work alongside other physicians, and may even have their own team of doctors and nurses to provide assistance. This specialty is broadly divided into two aspects: medical and surgical. Medical gastroenterology largely involves the diagnosis and management of patients using medicine and minimally invasive interventions. Surgical gastroenterology is split into three specialties: the upper gastrointestinal tract, the lower GI tract and the liver, bile ducts and pancreas. Pediatric gastroenterology is a specialisation that can be pursued by pediatricians, or gastroenterologists to become an expert in treating gastrointestinal issues of children. Gastroenterologists have ample opportunities in private as well as government hospitals, group medical practice or health care network. Due to the large influx of patients with gastroenterological issues, multi-specialty health care centers are trying to have gastroenterologists on their rolls either as full-time or visiting physician consultants. They are employed in medical research institutes and medical colleges/schools as faculty members. More over enterprising Gastroenterologists can also open their own Gastro Clinic. Gastroenterology is one of the highly paying branches of medicine that treats some of the most complex illnesses of the digestive tract. Income varies according to the number of years a doctor has been in practice, geographic region, number of hours worked, skill, personality, and professional reputation. Similarly salary varies for those in private practice and in government service. A fresher who joins a government hospital can start earning from Rs.30,000 per month. Whereas in private hospitals the salary can be Rs.60,000 to Rs.80,0000 per month. Those who are experienced in the field can earn even lakhs per month. For Gastroenterologists with their own clinic income is not a constraint once they gain reputation.